In 1968, nine men entered a competition to sail around the world, by themselves, without making any stops. Eight of the entrants were veteran sailors. 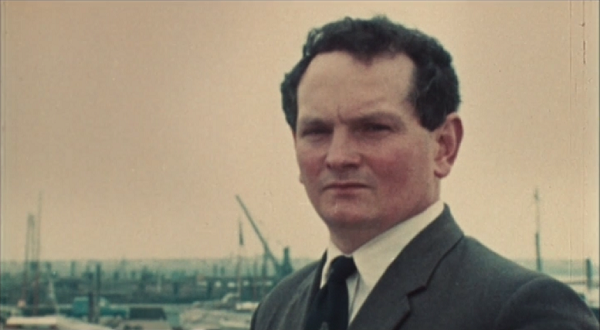 Donald Crowhurst was an amateur, an engineer who manufactured navigation equipment. He put his house — essentially his family’s entire financial security — on the line to secure financing for his boat. If he circumnavigated the globe faster than the others, he’d win £5000. If he backed out, or quit the race, he would lose everything. He departs on the last possible day, knowing that his yacht isn’t ready for the long, treacherous journey. But what choice does he have? I don’t want to say too much more. I knew nothing about this story going in, and I feel that’s the best way to see it. It’s an incredible, gripping tale. It’s full of hope and dread and turns that hit you in the guts. When I sat down to it, I doubted that I was in the mood to watch a movie. Within the half hour I knew I had to see it through to the end. It’s not just that the facts of the documentary are engaging, but Crowhurst’s trials make you think about folly, survival, heroism, integrity, perseverance, loneliness, madness, media, public persona, pride, dignity, and ultimately the whims of the cosmos. Through his logs and his audio recordings, we get a constantly evolving and always spellbinding picture of what was happening to Crowhurst’s psyche. This entry was posted on January 9, 2015 at 11:35 pm	and is filed under Movie Reviews. You can follow any responses to this entry through the RSS 2.0 feed. You can leave a response, or trackback from your own site.